I just want to compete in fair, fun, and competitive fantasy football leagues. 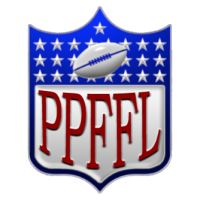 ALL Pro Players 2018 Leagues are full. Want to get on the Pro Players Dynasty Orphan Wait List? Want to get on the Pro Players Startup Dynasty Wait List? ALL Pro Players 2018 Leagues are Sold Out. Want to get on the Pro Players Dynasty Orphan Wait List? WE START AS SOON AS WE FILL DRAFT LOTTO IS FOLLOWED IMMEDIATELY BY THE DRAFT It starts out a slow draft then we switch the timer to 2 minutes on Wed. the 6th at 8pm ET.